Nestled on absolute beachfront in a premium position,this ground level self contained studio offers comfort,privacy and space in this premiere location. Breath taking views of the dune,Niniwa, and harbour entrance will be yours throughout your stay while relaxing in this extraordinary environment. Direct access to beach for leisurely walks to South Head, Arai Te Uru, restaurants, bars, shops, I site, museum,artists,and wharves.Fishing and swimming opportunities at your doorstep.Waipoua forest and Tane Mahuta only 20 minutes by car. A side trip and walk to the Waiotemarama waterfall and Labyrinth craft shop can be had en route. (Footprints night tour pickup available). Harbour cruises, sand boarding and fishing excursions collection area within walking distance at Opononi (25 minutes walk). Morrell's Cafe, Waimamku and The Boatshed Cafe, Rawene are both fifteen minutes away. From Rawene the car ferry to the historic village of Koukohu with its colonial buildings, Village Arts and Waterline Cafe make a delightful extension to a stay in Omapere. The energetic and adventurous may choose this as a base from which to explore Panguru, Mitimiti, Ahipara and Cape Reinga. The Bay of Islands is an hour and fifteen minutes away. A range of healing therapies are available on site with advanced bookings. Ngawha hot springs are less than an hour away just out of Kaikohe. Horeke and the Wairere Boulders could be included on this journey. A stay at Hokianga Haven can be a rejuvenating experience which will refresh, invigorate and inspire. I have whanau/family links going back multi generations into the area. When he section became available 22 years ago it was a wonderful opportunity to to return to the community and renew family relationships. On top of which this is one of the most beautiful locations in the world. It has huge historical significance and profound spiritual presence. Hokianga Haven is our new favourite holiday destination! Two of us clambered over boulders, fished almost from our doorstep, swam daily, visited Tane Mahuta, sand boarded the dunes, cycled the Horeke Trail, cruised the harbour, explored nearby historical sites and breakfasted every morning on the white sand beach. Eight days of magic. Our accommodation was wonderful and our host, Heather, a true gem. We can’t wait to return. Thank you Hokianga Haven. It was truly delightful to host you and to see you enjoying yourselves so much through all the activities and simply relaxing which you experienced. Great also to share time and stories with you. Thanks for coming and I look forward to seeing you again. 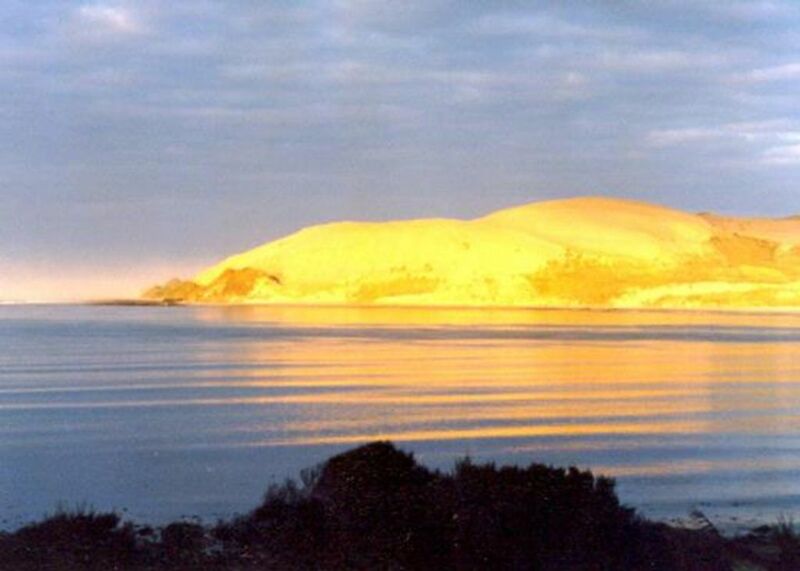 What a gorgeous view of the beach and the huge sand dunes that this part of the Hokianga is famous for. Great access to the beach for walks and pure relaxation. Very well appointed property with comfortable beds and good furniture. The self-serve breakfast was delicious. Highly recommend this property. A stunning location with just the sound of the waves to keep you company. Hokianga Haven over delivered on all of our expectations and we highly recommended taking as much time as you can to stay. I just want to go back now! Beautiful location right on the beach. Beautiful location right on the beach. The views are superb. Would certainly recommend.